Without question, our MEGA TNT Sticks are the brightest LED fixtures for motorcycles on the market today. Because these MEGA TNT sticks are so durable, they can be mounted just about anywhere. 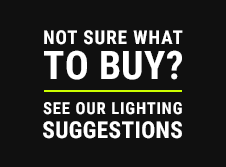 We recommend installing them on brake calipers for front and rear wheel lighting. They are also perfect for lighting the front of your Harley engine too. If your calipers are black then no need for the optional stainless steel case. Chrome caliper owners may like the look of the added chrome finished stainless steel case. 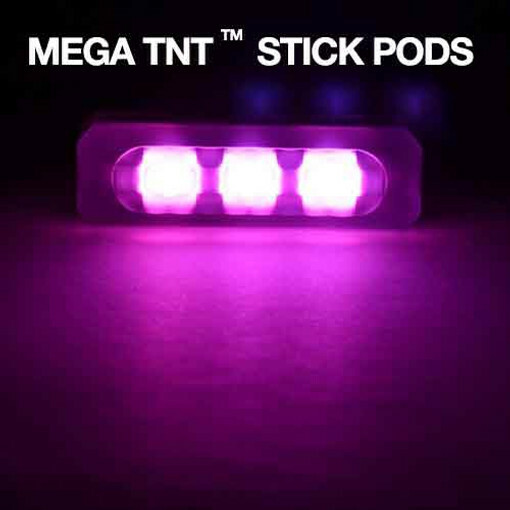 Each MEGA TNT Stick achieves lumen (brightness) ratings over 4 – 8 times brighter than our 4-LED TNT Sticks & Grenades, and over 8 times brighter than other popular motorcycle LED pods.